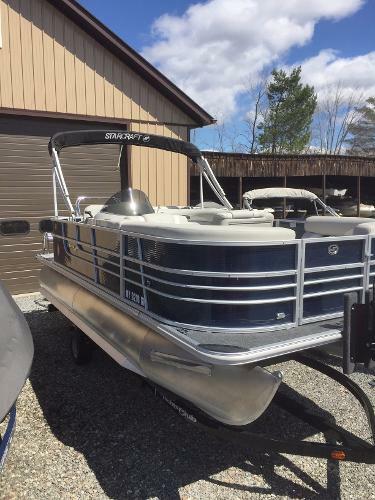 2015 Starcraft Stardeck 206 Cruise 2015 Starcraft Pontoon with Mercury 115 Command Thrust motor. 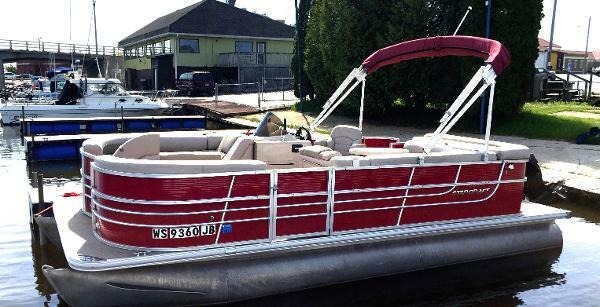 Includes trailer, full cover, bimini, ski bar, stainless steel boarding ladder, bluetooth stereo, & depth finder. Seat vinyl and carpet are perfect. 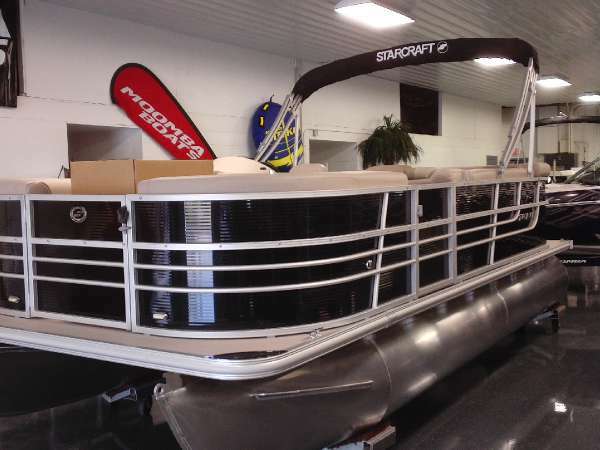 2014 Starcraft Stardeck 206 Cruise Oftentimes the words “entry-level boat” are accompanied by words like basic, plain or compromise. 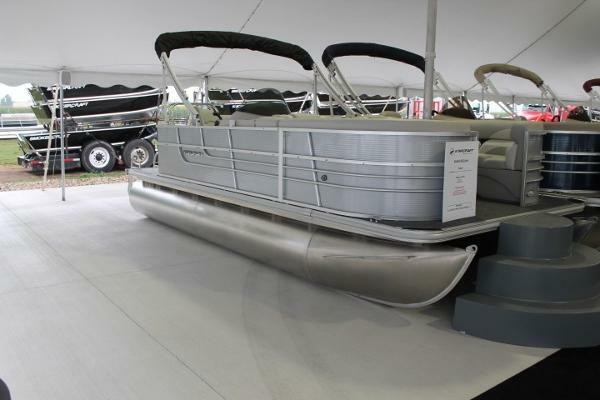 With Starcraft’s latest price-point pontoon, that’s not the case. 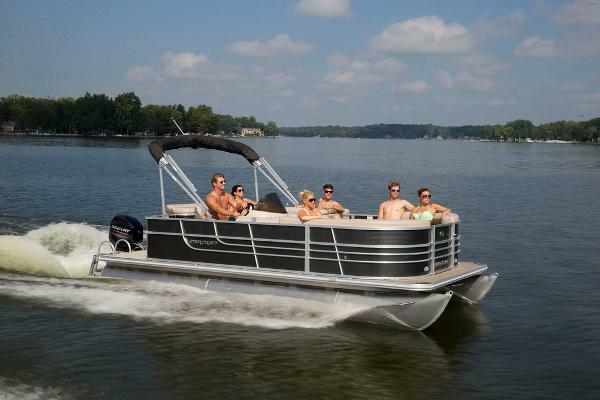 The 206 Cruise is a well-equipped and well-appointed entry-level pontoon. It's a smooth, steady glide with a Merc 50, and the buttery-soft seating is an unexpected luxury. Speaking in terms of the bones of the boat, you'll appreciate knowing that your new Stardeck is built to last. Most of the industry uses C channels to secure their decks, but Starcraft uses industry-leading, .250-gauge hat channels for premium strength. The deck is thru bolted and the transom is also bolted secure. This is why Starcraft offers the industry's best warranty, a fully transferable limited lifetime plus six years, so you know your new toy is protected.